Description: Welcome to a pristine three bedroom home. 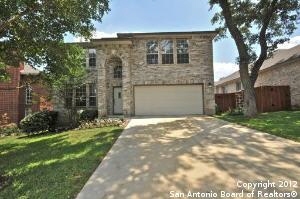 Enter into tiled foyer which opens to formal living, w/fireplace & mantel. Connecting to dining with lots of windows and crown moulding in both. Lg. Kitchen w/tons of counter space, breakfast bar & breakfast area. French doors to patio & very impressive 2 level decking, with steps from lower deck to lovely fenced back lawn. All bedrooms are upstairs along with sitting area, study area and a full bath. Master is grand w/ private full bath & 2 closets. Lovely home.